We are a team of Internal Medicine, Geriatrics and Allergy Specialist Providers and Nurse Practitioners committed to taking care of you, including prevention, treatment and recovery. We welcome you into our offices or attend to your needs wherever you are, visiting living facilities and hospitals or even your very own home. We care about your long-term health. Our team of Internal Medicine Physicians and Registered Nurse Practitioners has served the South Florida community for more than 20 years. We enjoy lasting relationships with our patients to ensure each condition is treated comprehensively with precise clinical analysis. We provide diagnosis, treatment, and care for patients with a variety of acute and chronic medical conditions. We are experienced in helping patients who have compound medical issues, are frequently hospitalized, or use medication requiring supervision. Our CCG Internal Medicine Team provides consultation services and collaborates with sub-specialists to monitor your entire treatment process. Caring for both adolescent and adult patients, our doctors specialize in diagnosing and coordinating multidisciplinary outpatient and inpatient treatment. As a result of our efforts, our patients experience lower rates of hospital admission, while enjoying a higher quality of care. Ensure an Integrated Multidisciplinary approach tailored to each individuals need. Cultivate a large network of collaborative specialties with proven outcomes and experience. Welcome participation of family and other support systems towards decision making and executing plans of care. Guarantee patient safety by closing gaps in communication during care transition stages. 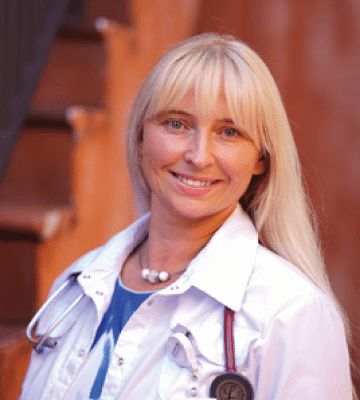 In today’s high paced medical practice, Dr. Borisiak is known to take time to talk to her patients, explain and tailor treatment plan for optimum outcome. 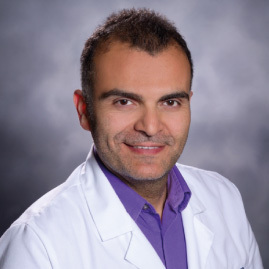 He is particularly interested in memory problems and fall prevention, and understands the importance of communicating with patients and their families to make the best decisions. 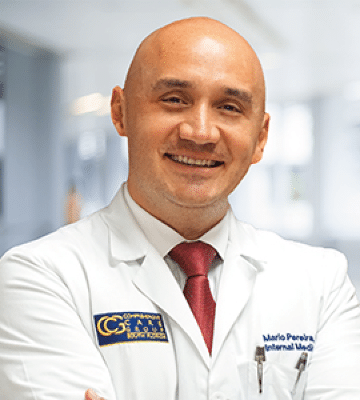 Dr. Pereira has lived in south Florida since 2009, has a modern and motivated style of practice by providing a structured and goal oriented management to his patients. Grew up in Damascus, Syria, and is fluent in both English and Arabic. 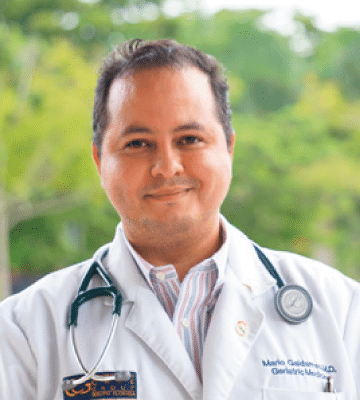 He is passionate about providing empathetic patient-centered care in a holistic manner. My husband Richie and I are patients at Comprehensive Care Group and we have been so happy. Everybody is so friendly. The doctors are very caring and are what I call, doctors with a heart, they care about their patients. My husband has been through a lot this past year with back surgery and they are always inquiring about his progress and taking care of him with caring and kindness. This doctors group has a friendly , courteous and excellent staff. I’m came in with multiple concerns and the physicians in this office address all of them and put me on a regimen wellness plan to help me . Just a few months later , I have reach most of my goals and have this office to thank for that. Thank you CCG. CCG Dr.’s and staff were amazing. Dr. Alhomsi has great bedside manors, he listens to all my concerns and provides feedback on how we could target many of my medical concerns. The staff there have amazing customer service skills, and contact me on any changes to my schedule and liabilities. Very proud to be a patient for the last two years.